KAMPALA. Businessman Charles Muhangi has ordered rival tycoon Drake Lubega out of Qualicel Bus Terminal in downtown Kampala. In what could finally end the longstanding twists and turns in their bitter fight for the control of the terminal the Supreme Court last month ruled that Muhangi was the rightful owner of the contested terminal. The Supreme Court panel of Justice Jotham Tumwesigye E. Mayambala Kisaakye Stella Arach-Amoko, Eldard Mwangusya and Lillian Tibatemwa, on May 26, dismissed an application by Lubega, challenging an April 29, 2015 Court of Appeal decision that ruled that the city businessman had acquired the land title fraudulently. “By consent of both parties, this appeal is dismissed,” the Supreme Court ruled. 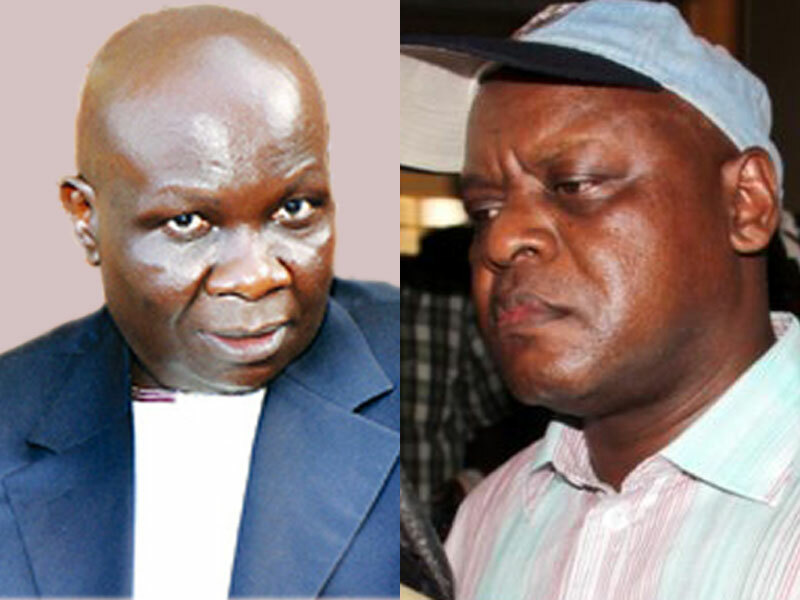 Lubega (L) faces eviction by Muhangi. Muhangi’s Court Bailiffs on June 1 wrote to Lubega, giving him notice of vacation. “The purpose of this letter is to demand that you vacate the land and premises comprised in Leasehold Register volume 10, Plot 50-52 Nakivubo Road, measuring about 0.57 hectares – Baganda Bus Park within 14 days from the date of receipt of this letter/notice without any further ado,” Bailiff Richard Twesigye wrote. Mr Muhangi said yesterday that he had all the legal mandate to kick Lubega out of the property for which the two have been contesting since 2006. “Court found that they acquired my park fraudulently and they have no claim to it,” Muhangi said at his office on Namirembe Road in Kampala. 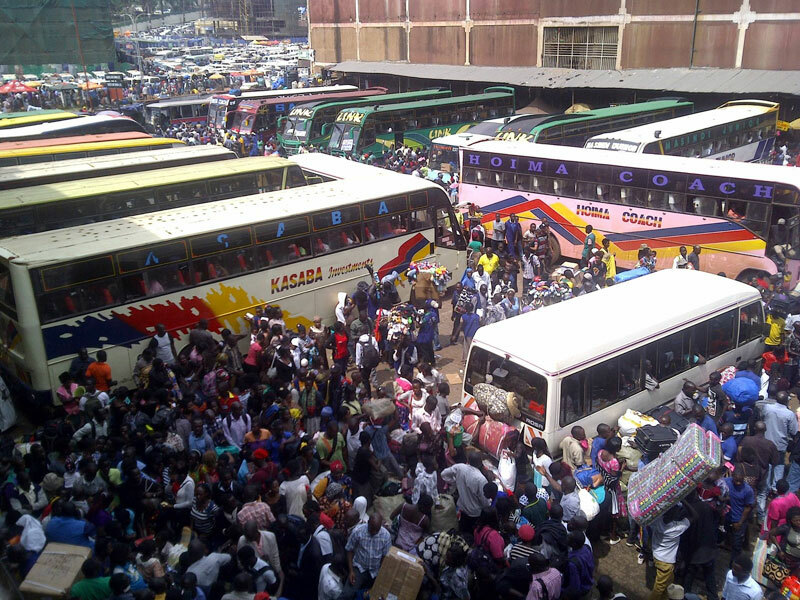 The two businessmen have been battling in court over ownership of the property on which the building and the bus park, popularly known as Baganda Bus Park, are situated. In 2013, Police evicted city Lubega from the property after the Solicitor General ruled that Muhangi’s Horizon Coaches Company was the rightful owner of the plots. Muhangi took control of the property as Lubega ran back to court to appeal his eviction. And, before Muhangi could settle in, the controversy surrounding the ownership took another twist, with Police evicting him this time following a legal opinion by then Attorney General Peter Nyombi after the Constitutional Court order of May 31, 2013 had reinstated Lubega as the rightful proprietor of the terminal. Not giving up, Muhangi returned petitioned the appellant court over the matter. The court ruled in his favour, forcing Lubega to seek the opinion of the highest court in the land on the matter.